As 2019 approaches Business Owners, CEO’s and Presidents and their senior teams typically finalize their plans for the upcoming year. The intention for the strategic direction and plan for 2019 should be focused on achieving results – plans are fine, but execution is everything. Part of a company business plan is a Marketing Strategy and Plan. It is key to have in mind the overall company objectives, and then the marketing plan needs to support the company goals. It is surprising how many businesses do not do this. For example, we worked with a food business in Ontario that prepared a budget every year. That is, a financial projection for the year, with a monthly P&L. All good. Because the budget was set based on the results of the previous year, and without consideration for market opportunities, the budget was organically inspired and took into account inflation and some growth. Every year for 3 consecutive years they got close to achieving to their budget, which in of itself is good. However, what was happening was that the market was changing, and they were missing out on opportunities. In fact, they were losing market share in that industry. What was needed was a market analysis, a competitive review, and especially some research on product gaps and growth opportunities. We believe that you can take this statement “to the bank”, metaphorically of course! 95% of successful businesses incorporate a systematic market review, before building a strategic plan and budget. 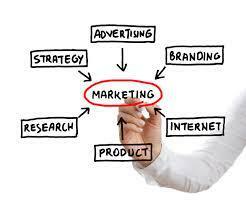 Marketing is all encompassing and includes all activity that generates leads and sales. Many marketers focus on social media and do not incorporate networking and relationship-building into their planning process; for 2019 these activities will play an ever-increasing role in driving longer-term business success. You need to incorporate activity that will support the company’s customer/client retention objectives as well as attracting with new customers potentially in new market segments. Diversification in a synergistic way can take your business to a new level. The strategic benefits of a very good website are ever increasing, and for 2019 a website needs to be part of the Brand building plan, with specific lead generating and sales transactional activity. E-commerce, customer relationship building, and sales should be part of the 2019 thinking. 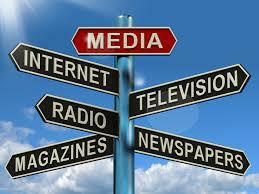 For larger enterprises, there needs some consideration of traditional media. What role might radio, print media, magazines, brochures and PR play in supporting your strategy to connect with your customers? This is an area where professional advice is recommended. It’s a money-saving exercise to have a calendar view of the 2019 marketing plan, outlining by month the activities and investments in marketing through the year. This enables you to plan the activities in advance and track their effectiveness. Planning is important, but execution is everything.